Are you looking for an adults-only holiday in Corfu Island? Check out Aquis Gordios Beach Hotel, an all-inclusive destination that features four-star facilities and services. This hotel is mostly visited by couples, families, groups of friends and honeymooners looking for a holiday far from the urban areas. 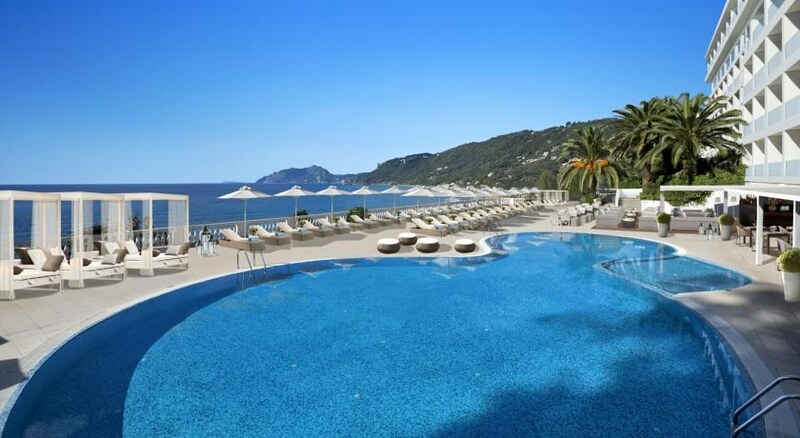 Aquis Agios Gordios Beach Hotel is a four-star destination that features 249 guestrooms. The rooms were recently renovated and they come fitted with air conditioning, TV with satellite, phone, WiFi internet, mini fridge, en suite with amenities, hairdryer, safe deposit, work desk, electric kettle and DVD players—note that you might have to locally pay to use some of the facilities. 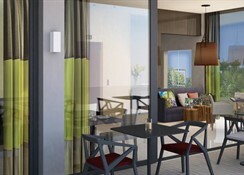 Rooms are finished in light colours and minimum décor, yet modern and spacious. You can select between twin and double beds and can request for extra bed. Balconies/terraces offer various views of the surroundings, but mostly overlook towards the sea—maid service and fresh towels and linens are provided daily. 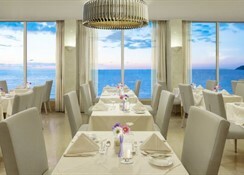 Androniki is the main restaurant that serves breakfast, lunch and dinner in buffet style, covering scrumptious international and Mediterranean flavours. 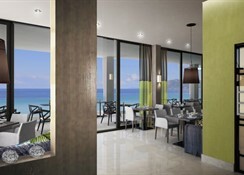 The restaurant also features live show cooking, special vegetarian corner and serves alcoholic drinks at lunch and dinner. Olive Tree is the a la carte restaurant that presents authentic Mediterranean specialities—note that prior reservation is mandatory and men are requested not to wear shorts, sleeveless and slippers. Speaking of beverages, Calypso (10am to 1am) is the lobby bar, Lagoon (10am to 1am) is the pool bar, Tunnel (10am to 6pm) is the beach bar and Panorama (5pm to 11pm) is the roof bar. These bars serve a wide array of light meals, snacks, signature cocktails, and local and international liquors. For all-inclusive guests, meal chart include: breakfast (7am to 10am), lunch (12:30pm to 2:30pm), afternoon snacks (3pm to 5pm), and dinner (6:30pm to 9pm). 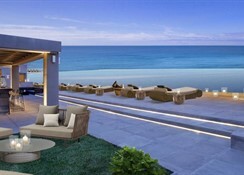 The hotel features a large outdoor swimming pool built overlooking the sea. There are sunbeds and umbrellas around the pools and food and drinks are served. The hotel also houses a fitness centre in case you’re a fitness conscious traveller, but to relax and rewind your body, mind and soul, you have to try to spa that features various massages including facial and body treatments. You can try the sauna, table tennis, darts, billiards, rooftop whirlpool and such other activities. And do attend the night amination where you will get to see folk dance, live music and other entertaining shows. And for icing on the cake, visit the beach for something thrilling adventures. 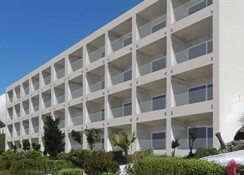 Aquis Gordios Beach Hotel is a beautiful hotel built right above the beach in Agios Gordios. The hotel is built facing the sea and surrounded by trees on three sides—the views are remarkable as it’s situated on a cliff. The beach is about 100 metres away where you will find tons of motorised and non-motorised water sports activities. Distance to main strip that is full of restaurants, bars, and shops is 250 metres—even Gordios Village is only 650 metres from the hotel. There are lots of villages along the coast in case you want to explore, but this is ideally a destination for travellers looking for a relaxed holiday. 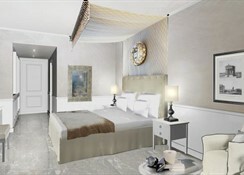 Corfu is 16 km away, and distance to LGKR, Corfu Airport is 15 km from the hotel. *** Note that this hotel is not ideal for travellers with mobility issues because of the location.